If there was a Ministry of Bling this is where they’d have their meetings. Truly extraordinary decoration that manages to stay within the boundaries of good taste and an outstanding range of Italian dishes provided courtesy of an inspired policy that sees the restaurant import top Italian chefs who work as culinary ‘artists in residence’. At the moment this is none other than Giuseppe Zanotti, who’s been overseeing dishes that we personally can’t get enough of. Try the tagliatelle with seafood and don’t forget the best Carpaccio to ever pass our lips in Minsk. Knockout stuff. Highly recommended. 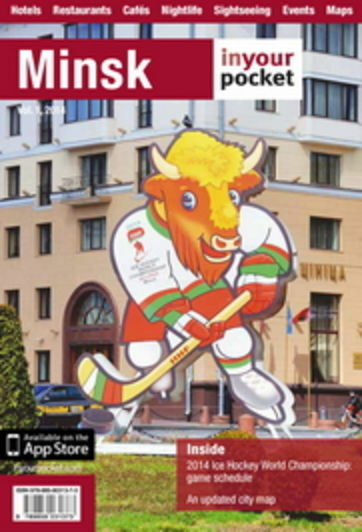 OOverpriced for a Minsk restaurant. Though nowdays everything got a lot more expensive than 5 years ago in this city, still you can have a good Italian meal in Minsk for half of the Falcone price. And I do not understand why average Chilean wine costs that lot here. Our friends took us here last weekend they had told us that Falcone is the best restaurant but it exceeded our expectation. Firstly about food! It was excellent.More over we had opportunity to speak to chief cook as he and all staff can speak Engl. quite fluently. We were seating in terrace and taking pleasure in this dinner.